On Wednesday, just after noon Eastern Time, Joe Biden announced that he's not running for president in a statement at the White House. However, multiple Twitter users have pointed out that his speech sounds an awful like a campaign announcement, though a tweaked one. 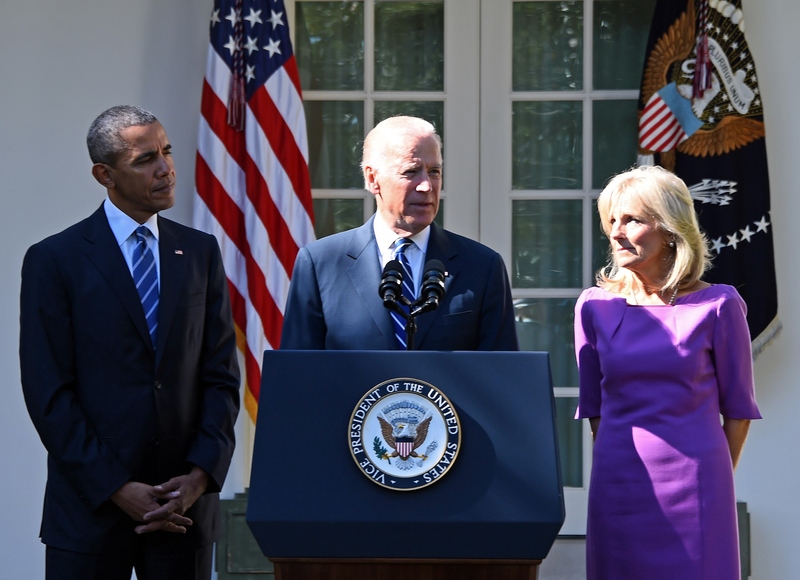 "Biden's 'not running' speech sounds an awful lot like an edited announcement speech," Tweeted Fox Business reporter Jo Long Kent. It might be a bit of a conspiracy theory, but it's not a complete stretch to come to arrive at this conclusion. After the first few minutes, during which Biden announced his decision, the rest of the speech could have easily set up a campaign platform. Biden didn't waste much time in announcing that he would not be running. He opened his speech by saying that "the window had closed." As my family and I have worked through the grieving process, I've said all along ... it may very well be that process ... closes the window on mounting a realistic campaign for president. I've concluded it has closed. This decision has undoubtedly upset and disappointed many Americans who were looking forward to a Biden campaign, and even moreso to a Biden presidency. But if the first few minutes were the knife, then the rest of the speech was the twisting of that knife. That's because it sounds so convincingly like a campaign announcement that it suggests that he had in fact planned on running, but changed his mind. Democrats should not only defend this record and protect this record, they should run on this record ... Let me be clear: We'll be building on a really solid foundation. He then went into issues that are near to his heart, like building up the American middle class, ending income inequality, and improving childcare. These are all issues that would have certainly been part of his platform, should he have run. So the speculation makes sense. This could very well have been a campaign announcement speech that Biden's team tweaked to reflect his decision not to run after all. As if America isn't sad enough already, the fact that we were this close to a Biden campaign is all the more gut-wrenching. But of course, we'll support Biden's decision, no matter what.